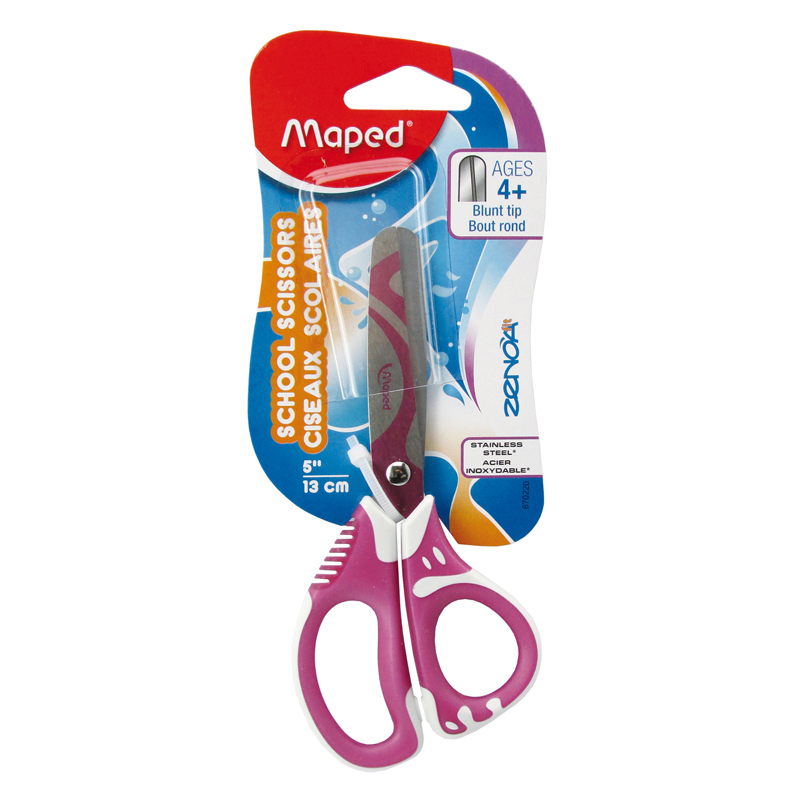 5" / 13cm Blunt Zenoa Fit Scissors are perfect for young students going back to school! Comfortable, soft-touch asymmetrical handles are the perfect size for young hands to hold, and the fun and eye-catching designs are perfect for students 4+ years old. Truly rounded tips on our stainless steel blades are much safer others you can find on the market and are much more appropriate for young students.